This day is part of a rich lecture series that will immerse Friends of the Art Gallery of Western Australia and Australians Studying Abroad friends and travellers in educational and enjoyable stories of architecture, arts, gardens, travel and history delivered by Australian Studying Abroad (ASA) specialists. Please help us make this day a success and invite your friends to join you. John Patrick will be familiar to many for his work on radio and television presenting programs relating to gardens, their plants and their history. He is currently a presenter on ABC’s television series Gardening Australia. 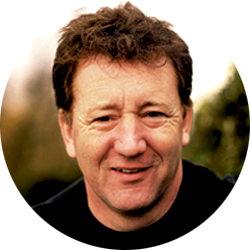 John has also written extensively on gardens throughout the world. In 1985 he organised the opening of gardens for Victoria’s Sesquicentenary which led to his involvement in the founding of what is now Australia’s Open Garden Scheme. John initiated ASA’s garden tours and has led over 20 tours to Europe, Asia and the USA. In 2015 John leads garden tours to Italy in the spring and the USA in their fall. The English have always looked to their country’s landscapes as quintessential to their identity. These landscapes include delightful rural countryside but also the manicured ‘natural’ landscapes of the country’s great estates, a paradise of great avenues of trees, lawns, lakes and architectural follies. English landscape gardeners like Capability Brown and Humphrey Repton, inspired by the paintings of Claude Lorraine, broke with the continental tradition of the grand formal garden. Later, Arts and Crafts movement gardeners such as Gertrude Jekyll created more organised, intimate masterpieces. John Patrick’s illustrated lecture will chart the relationship between English landscape and gardening as shown in Sezincote and Hidcote Manor in the Cotswolds, the Nicholsons’ Sissinghurst and Great Dixter House and gardens. Spend an afternoon immersed in the inspiring gardens of Italy. Explore the northern lake district where strikingly beautiful masterpieces ‘swim’ in the scintillating azure of Lake Garda and Lake Orta and are framed by the dramatic profile of the Alps. Encounter the genesis of the Renaissance garden in Tuscany’s lovely villas dotted along the Arno Valley. Discover the powerful Baroque of the Villa d’Este, Tivoli and be enchanted by what is arguably Italy’s greatest masterpiece, the Villa Lante. John Patrick will show how architecture, carefully managed water features and highly organised plantings are orchestrated in the Italian garden tradition.